AutoGate, Inc., is located near the shores of Lake Erie in Berlin Heights, Ohio. We are a family owned business founded in 1986. With a reputation for quality, we are a leading manufacturer of Vertical Pivot Gate [VPG] systems. In addition to manufacturing the first UL 325 compliant vertical pivot lift gate operator, we also offer a full line of reversing/safety and access control devices. The systems are all electrical with build in battery backup. No hydraulics! They operate in all weather conditions including extreme heat, cold, and snowy conditions. We fabricate gates to a site conditions and requirements including curbs, sidewalks, uneven driveways, drainage swales, etc. Because they pivot open 90° vertically, much less space is necessary for installation and use. They require less maintenance than slide gates and have superior open and closing speed. 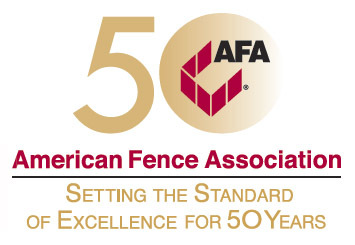 Our product line includes “The Shield®”, each DoS/DoD listed K12/ASTM 50, K8/ASTM 40, and a K4/ASTM 30 rated Anti-Terrorism/Anti-Ram crash barrier gate systems. With a product suite focused on quality and over 100 combined years of experience in security sales and technical support, AutoGate is a complete source for secure entry solutions. Our standard and anti-terrorism products are appropriate for commercial and industrial facilities, gated communities, mini storage facilities, marinas, high threat level installations and any other location where pedestrian and vehicle access needs to be controlled.